If you delete a message in an IMAP account that's accessed through Outlook, it's not deleted right away and Outlook doesn't move it to the Deleted Items folder. Instead, these messages are marked for deletion and are sometimes hidden on purpose since you don't really need to see them. So, you have to purge the half-gone emails to delete them from the server. In the Clean Up group, select Purge. Select Purge Marked Items in All Accounts to eliminate deleted messages from all IMAP accounts. Or choose to purge messages in a folder or email account. Select Yes to confirm the permanent deletion of emails. The messages are permanently deleted from Outlook. Select Purge Marked Items in All Accounts. Or choose to purge items for the selected folder or for an email account. Confirm that you want to delete emails. Select Purge Deleted Messages to remove deleted items from the current folder. Instead of using the menu to delete messages, customize the ribbon menu to add a custom button. Right-click the Ribbon and choose Customize the Ribbon. In the Main Tabs section, select the menu tab where you want the new command to appear. Select New Group to display a listing labeled New Group (Custom). Select Rename to give the group a customized name. Type a new Display Name and choose a Symbol for the custom button. Select the Choose commands from dropdown arrow and select All Commands. Scroll down to Purge and select either Purge, Purge Marked Items in All Accounts, Purge Marked Items in Current Account, Purge Marked Items in Current Folder, or Purge Options. The command appears under the new group you made. Your new shortcut appears on the Ribbon. Select the shortcut to permanently delete email messages. What Happens If I Don't Delete These Emails? 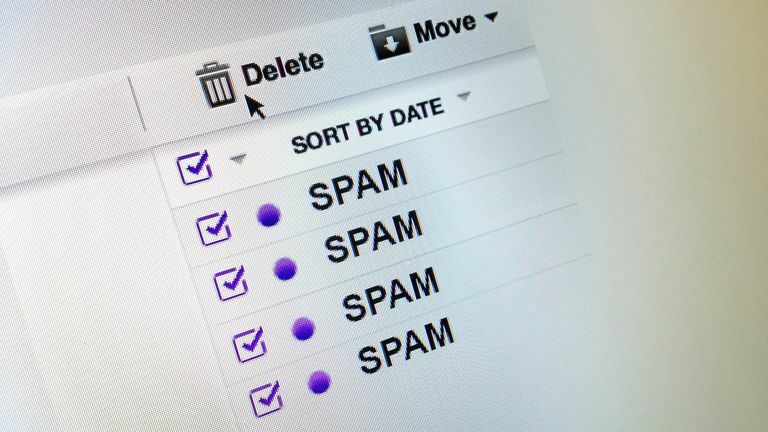 If you don't delete these messages regularly, your online email account may collect too many of these yet-to-be-deleted messages and fill up your account. From the perspective of the email server, the messages still exist. Some email accounts don't allow for much storage space. If you don't purge the deleted emails, you may quickly exceed your allowed storage and may be prevented from getting new mail.